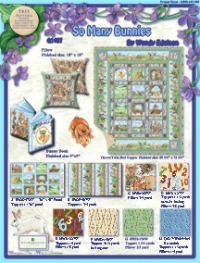 Enjoy the free animal quilt patterns below. I find that animal lovers who are also quilters love to combine the two in their quilts. When visiting my local quilt shop I always enjoy browsing at the many animal quilts. 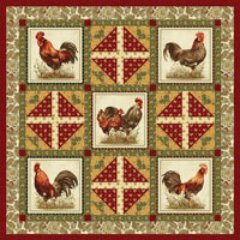 The quilts with hens always leave me spellbound! So I'm thrilled to be able to add some of these spectacular quilts below! 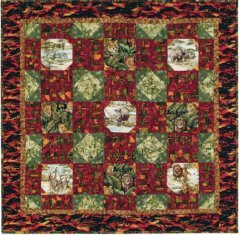 Most of the free animal quilt patterns have been designed using specific seasonal fabrics. Unfortunately most of these fabrics will no longer be available unless you bought some and have it hidden away in your stash. Don't let that put you off using the patterns, be creative and find a fabric and pattern that inspires you. Pattern courtesy of Wilmington Prints. 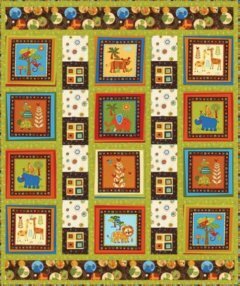 Jungle Buddies Quilt Pattern. Pattern courtesy of Wilmington Prints. So Many Bunnies Quilt Pattern. Pattern courtesy of Wilmington Prints. 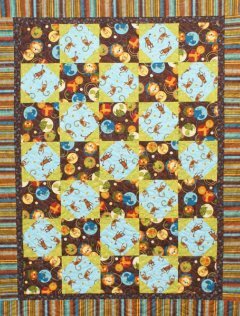 Nighty Night Owl Quilt Pattern. Pattern Courtesy of Benartex. All Cooped Up Quilt Pattern. Pattern Courtesy of Benartex. Dinosaur Island Quilt Pattern. Pattern Courtesy of Hoffman. 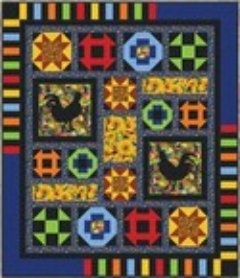 Hen Peck Quilt Pattern. Pattern Courtesy of Robert Kaufman. 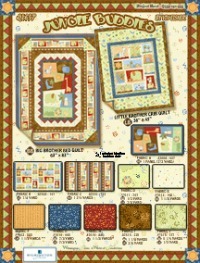 Animal Junction Quilt Pattern. Pattern Courtesy of Robert Kaufman. Monkey in the Middle Quilt Pattern. Pattern Courtesy of Robert Kaufman. Kilimanjaro Quilt Pattern. Pattern Courtesy of Clothworks. 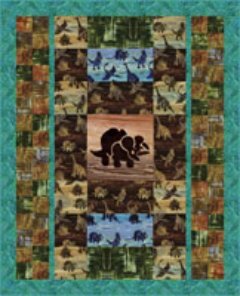 Dinosauria Quilt Pattern. Pattern Courtesy of Benartex. 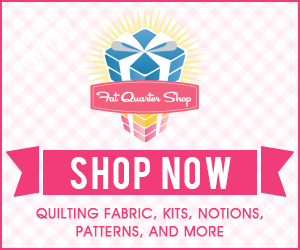 Feather Your Nest Quilt Pattern. Pattern Courtesy of Hoffman. Crane Paradise Quilt Pattern. Pattern Courtesy of Red Rooster. 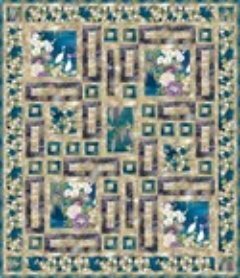 Daisies, Dogs and Ducks Quilt Pattern. 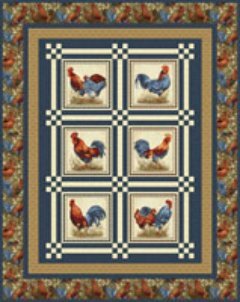 You will also find other animal quilt patterns on this site. 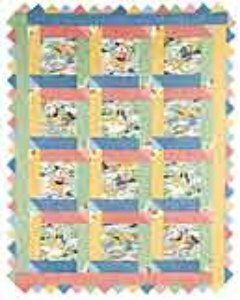 There are cat quilt patterns, dog quilt patterns and an array of animals in the baby quilts pattern section. While locating free patterns for this page I came across some amazing animal quilt patterns designed by Karen Brow. They are not free but they are truly amazing. 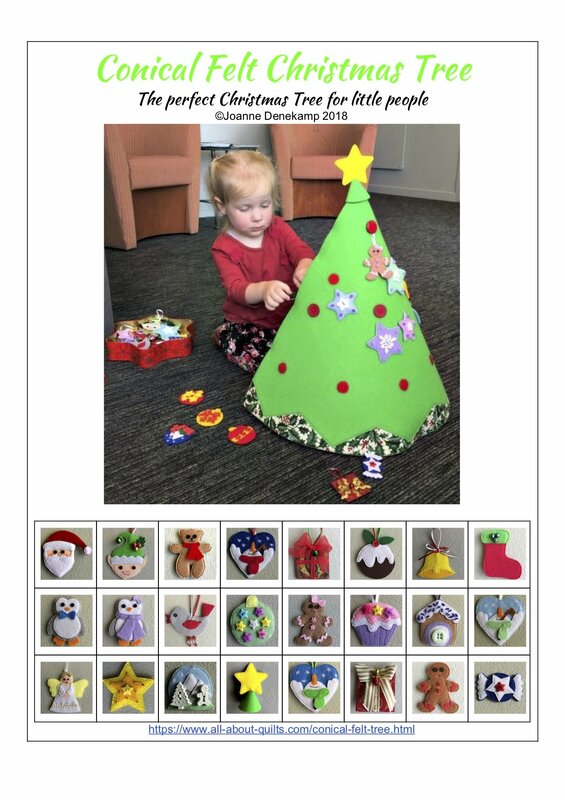 Here is a description explaining how she creates her patterns. She uses life size, whimsical appliqued animals and/or twisting vines to add movement and disruption on top of a repeating patchwork pattern. Her fabrics are mainly batiks and with these she takes special care to ensure when used together in a quilt the colors sing in harmony. This allows quilters using her patterns to ensure the same result even if they choose a different colorway. Visit her website 'Java House Quilts' and be truly inspired!